In 2015, actor Akshay Kumar juggled his shooting schedules for Airlift and Singh Is Bliing - films from two very different genres. 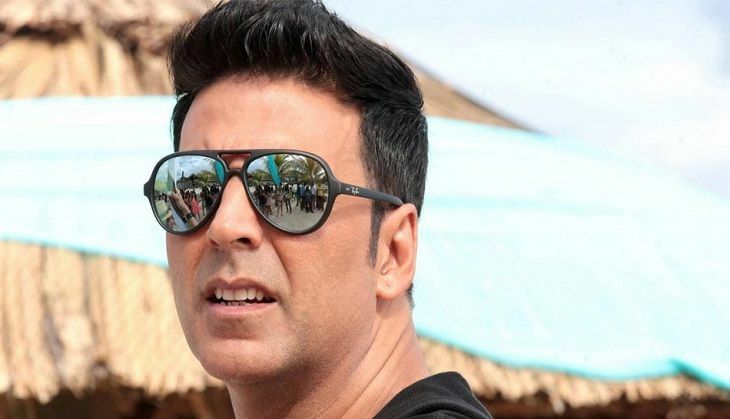 And Akshay seems to be following a similar work schedule this year, as the actor is currently splitting his time between working for the thriller, Rustom - based on the Nanavati murder case - and thecomedy caper,Housefull 3. Q. You play a split personality in Housefull 3. Did you read up on split personalities? A. It is just a comedy film. It should not be taken seriously. We didn't study the human brain for me to play the part. I play a wannabe footballer and I suffer from Dissociative Identity Disorder (DID) in the film. Did I read up on DID? No. My character is not supposed to know he has DID. So why should I? The whole idea in Housefull is to make the unbelievable look believable. In Airlift, the believable has to be made more believable. Comedy ko itna halka mat samajhjiye (Don't take comedy so lightly). I am so grateful to the Housefull franchise for allowing me to play so many twisted freaks. I repeat, comedy is not easy to do. Q. So does no one take comedy lightly any more? A. Oh, lots of people do. To me, the Housefull franchise is as precious as the Khiladi franchise. Action and comedy are what I always enjoyed. I could do these two genres for the rest of my life. Housefull is neither cheap nor tacky. It is what I'd call posh comedy. This is comedy not just for the dumb. A. It is for the dumber as well. Got you! Now that the shooting is done I am getting withdrawal symptoms. Q. Did you enjoy working with Riteish Deshmukh and Abhishek Bachchan? A. We had a ball. Riteish has been with me in the franchise from the start. But Abhishek is a new entrant. I had a lot of fun working with Abhishek. He's a thorough gentleman and I'd love to work with him again. Q. Housefull 3 and Rustom are so different. How do you do it? A. Well, I know there is a belief that men can't multi-task. Whoever believes that hasn't met me as yet. But I am not going to pretend it's easy. I also can't deny that I enjoy doing both the serious and comic roles. And let me tell you, comedy is also a serious business for me. Q. So you are pleased with the challenge of doing contrasting roles? A. Oh, very pleased. I am happy to juggle the two contrasting genres. I embrace both happily. See, I adore my Housefull franchise, as much as I adore the serious scripts that I choose. Q. Do the serious scripts require more of your attention? A. Serious or comic, I don't take myself too seriously. That attitude helps me enjoy both the genres. I take both the genres equally seriously. But at the end of the day whether it's Rustom or Housefull 3, it's all entertainment. I've always been an entertainer. Being an actor doesn't mean you have to take yourself seriously. You just have to flow with the character. Q. Is that how you handle all your roles? A. That's what my experience has taught me. I like doing different genres of cinema. Why should I do just one genre? It's like putting all my eggs in one basket. Q. What is the Akshay Kumar like? A. The real Akshay Kumar likes to put his hands into all the cookie jars. At the end of the day, I am a Punjabi. Variety is the spice of my life and spice is the variety of my life.